This is a rectangular Michigan Road Atlas porcelain sign. This particular Michigan Road Atlas sign is very colorful. 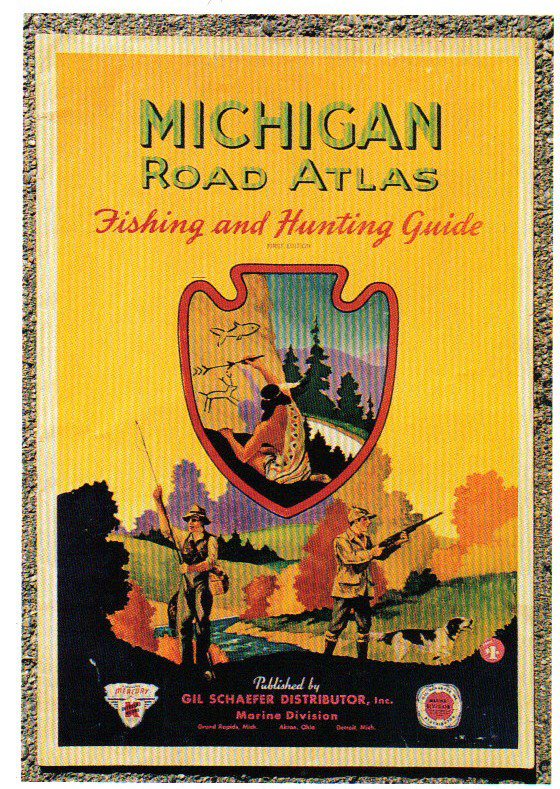 It reads, “Michigan Road Atlas, Fishing and Hunting Guide, Published By Gil Schaefer Distributor, Inc., Marine Division” and features several different outdoor scenes.